For over 30 years Allergy & Immunology Associates of Michigan has been a part of the medical community in southeast Michigan and has supported Michigan Radio since 2007. Through sponsorship, Michigan Radio has allowed us to share throughout its listening audience that relief is available through diagnosis and advanced treatment for individuals suffering from allergies and asthma at our offices in West Bloomfield, Livonia, Novi, Brighton, Canton, Chelsea, and Ann Arbor. Our board certified physicians are dedicated to making life with allergies and asthma as comfortable and manageable as possible for our adult and pediatric patients. This commitment is demonstrated in our community services, cutting edge clinical research team, and as well as in our clinical offices. Michigan matters to us. For years we have been working with local public and private schools and child care facilities to provide food allergy education by speaking to teachers and staff to provide safe school environments. Our doctors played a major role in “EpiPens for School Program” so every public school throughout Michigan has life-saving doses of epinephrine. Our physicians have remained active in both local and national events investigating the latest research discoveries and treatments. Michigan Radio is important to us as well. As listeners, we are well aware of the profoundly valuable service that their journalism provides to the citizens of this state. Using Michigan Radio to spread the word about our services just makes sense: we are able to reach an audience that is receptive and in need of our service while at the same time providing financial support to a cause that we care about. There is no doubt that our relationship with Michigan Radio has nurtured the growth of this practice. As we expand, adding offices and physicians to serve our patients, we can be confident that our message on Michigan Radio is being heard across the state, in all the areas that we provide service. When we open a new space in a community, the residents there have already heard our message on Michigan Radio, since we have been a long time sponsor. We expect to continue our mutually favorable relationship with Michigan Radio going forward, as Allergy & Immunology Associates grows to reach and serve the needs of our state’s citizens. A Michigan Radio sponsorship will allow your school’s message to reach an audience that is interested in investing in the future of their children. Because our audience is 58% more likely than the average American to be the parents of children under 6 years old, your message is reaching an audience that is currently on the brink of deciding on the future of their education of their children. Also, because our audience is 176% more likely to have an individual income of over $150,000, they are financially capable of empowering their children by providing them with a strong education. Contact us to find out more about how a Michigan Radio Corporate Sponsorship can help your educational services business grow! 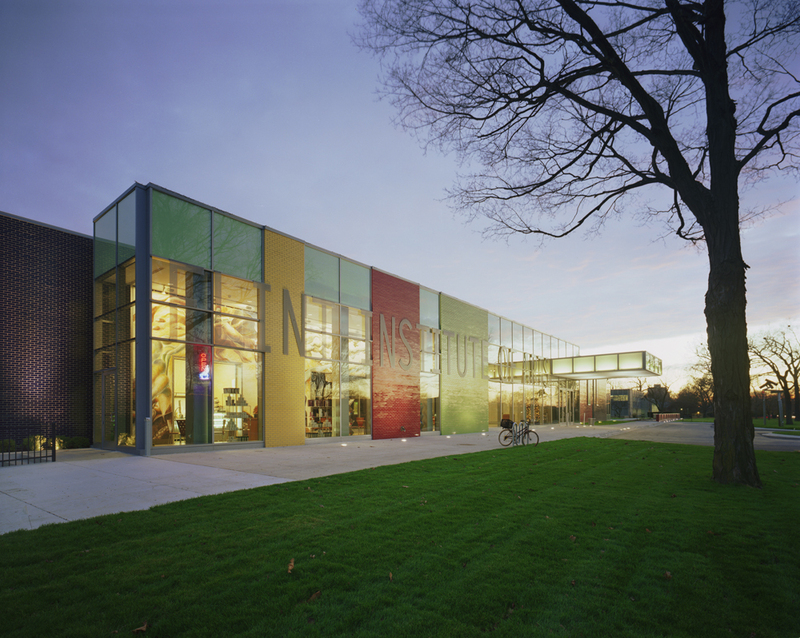 Founded in Michigan in 1928, the Flint Institute of Arts (FIA) proudly holds the rank of the second largest art museum in the state and runs one of the largest museum art schools in the entire nation. Demonstrating the power of the visual arts, the FIA provides lifelong learning opportunities to engage and educate an ever-growing diverse and regional audience. Dedicated to making art available, approachable, and accessible to everyone, we offer a broad range of interpretive programs that allow people to access information on the permanent collection and temporary exhibitions that reach more than 160,000 people each year. This includes guided tours, lectures and community dialogues, art classes, workshops, and studio demonstrations. Also, every weekend from September through June, we screen independent films presented by the Friends of Modern art whose selections are tailored to reach all audiences. For well over a decade, the FIA has participated in supporting Michigan Radio. Through sponsorship, Michigan Radio has generously shared its vast audience of dedicated listeners with us. “Over the past several years, the staff has worked hard to reshape the FIA’s role in the community and the success we’ve experienced would not have been possible without our ongoing relationship with Michigan Radio and its listeners,” expressed John B. Henry, Executive Director of the FIA. The station of choice of many patrons and an effective component to our advocacy, Michigan Radio helps the FIA to fulfill our mission statement: to advance the understanding and appreciation of art for all through collections, exhibitions, and educational programs. A Michigan Radio Sponsorship gives you access to an audience that is educated, affluent and engaged. Our listeners are 173% more likely to attend an art gallery or art show and 214% more likely to contribute towards the arts, meaning your message will reach an audience that has both an interest in what you have to offer and the ability to support your programs. Contact us to find out more about how a Michigan Radio Corporate Sponsorship can help your arts and culture programs and events grow! Contact us to find out more about how a Michigan Radio Corporate Sponsorship can help you grow your health & fitness business! Charles Reinhart Company Realtors has always set the bar high. By focusing on quality, they’ve been able to create a family of customers that crosses generations. Not only are their clients family, but their agents stick around because they are happy to be a part of an organization with a reputation for outstanding service. Charles Reinhart Company Realtors also has a long history of providing support to charitable organizations. When the opportunity arose for them to offer support to Michigan Radio nearly twenty years ago, they saw sponsorship as a win-win. “We’re able to support the best in journalism while reaching our target audience: educated, influential and engaged listeners all over the southern half of Michigan,” says Dave Lutton, President of Charles Reinhart Company Realtors. 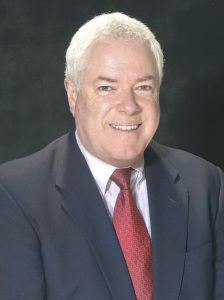 Michigan Radio and Charles Reinhart Realtors have been working together steadily since that first conversation in 1998. Building on this mutually beneficial relationship, Charles Reinhart Realtors proves that they really do have an extended family which includes Michigan Radio.